Church St. Nicholas in the village Lower Naguevychi, where was baptized Ivan Franko. 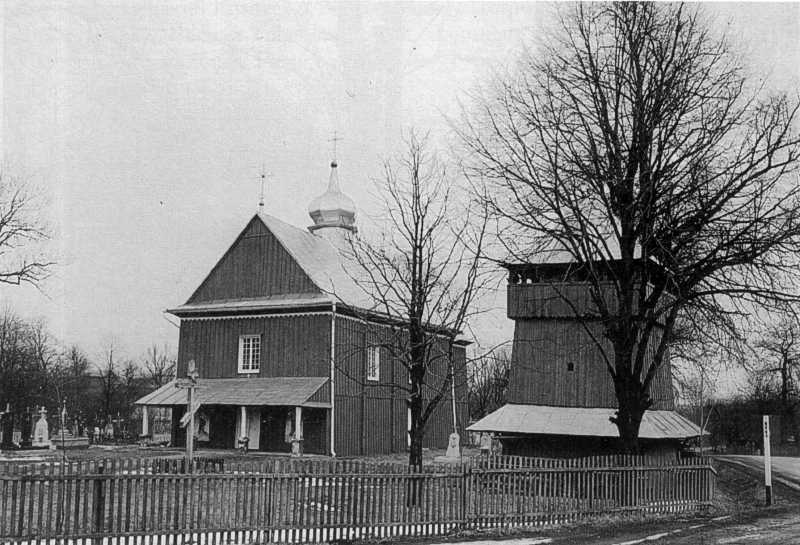 The father of writer Jakov Franko was a parishioner of this church (built in 1800), and did much for its finishing. This memorable church burned down on the night of 8 to 9 January 1996. More about this church – at the site "". Photo by I. Synkalsky, 1992.